THE FOUR FOUNDATIONS YOU MUST BUY!!! I’m so excited every time a new foundation comes along, that I have to try it almost immediately. This month alone, more than 10 new foundations landed on my editor’s desk. I’ve tried them all, and these are the exceptional ones that I love and have been using every day based on my mood. There’s a cushion, solid, cream and liquid — so whatever foundation format you prefer, there’s a really good one launching this month (or next) that you should consider getting. 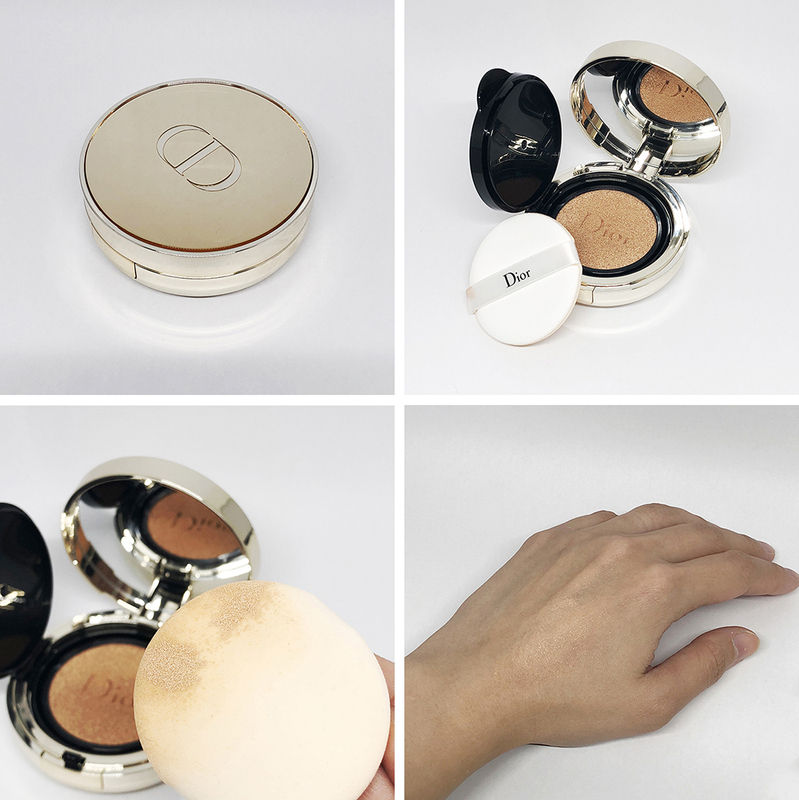 First impressions: This is the “luxury” version of Dior’s cushion compact, so naturally… it’s gold, and it’s expensive. After just one try, this became a favourite in my morning beauty regime; it pats on lightly, so the coverage is easy to control, and it results in a healthy-looking soft powder finish. Skin glows, while staying matte — pretty impressive. The formula: There’s a high concentration of Rose de Granville, which is known for its regeneration powers. Texture: It’s a standard liquid foundation in a cushion compact, and reminds me of the famous YSL Le Cushion Encre de Peau. And you can’t really go wrong if the texture and experience is similar to YSL’s best-selling version. Coverage: The press release says this offers light to medium coverage, but I think it’s more medium to high, especially if you build up on areas that require more cover (like pigmentation and sun spots). Finish: Between dewy and semi-matte. I recommend this for: If you don’t fancy the dewy look (that many of the Korean cushions impart), this is an excellent option — if you can deal with the price, that is. First impressions: I love the packaging of this product. It’s sleek, all white, and pretty compact — it feels small compared to many other compact cases. And with this cream formula, I can’t tell I’m wearing any foundation at all! And that’s exactly what we all want to achieve with any foundation. Texture: It’s more silky than oily, and the cream glides over skin easily and smoothly. It sinks into skin quickly too, disappearing and leaving behind a soft finish. Coverage: Light to medium. It actually goes on really light, but after a minute, settles into a powder-like, semi-matte look. 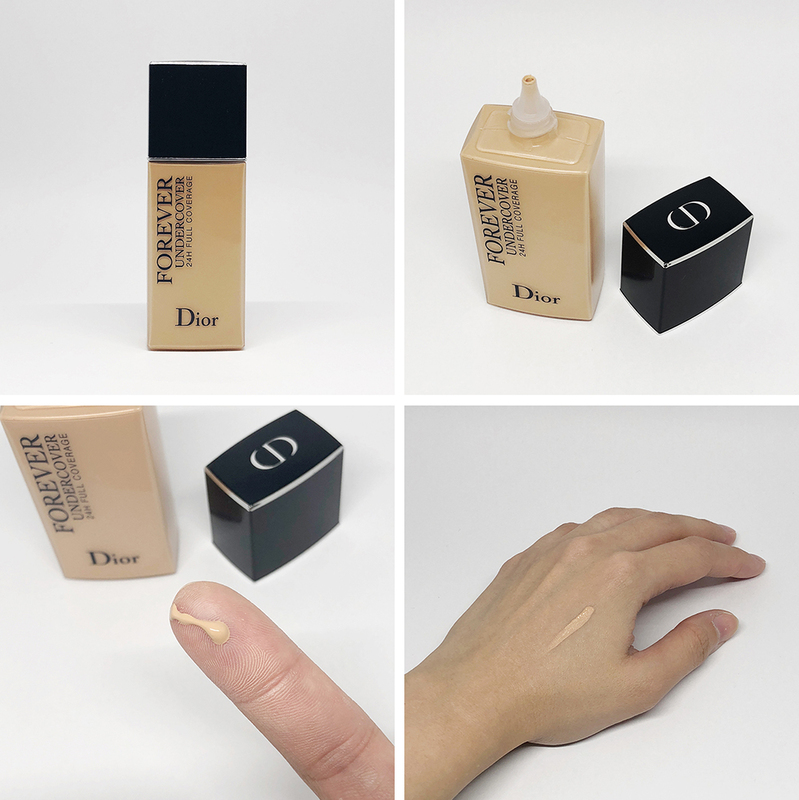 Like most foundations today, the formula is buildable, so you can layer it on for more coverage; but if you’re looking for a high coverage foundation, check out Dior Undercover below. I recommend this for: Dry to combination skin types, or those looking for a more hydrating foundation formula in the convenience of a portable compact. And fans of CHANEL (obviously). First impressions: The jar looks and feels expensive (probably because it’s heavy). My first thoughts were… oh no, it’s a jar. Jars aren’t hygienic, they’re not ideal for travel, and I haven’t found a foundation formula in a jar that I actually liked — until this one! The formula: There’s a lot of skincare technology that went into the formula of this foundation. Just in summary, this foundation claims to regenerate skin from within over time(!!!) There’s also a special brightening ingredient (called 4MSK, if you care to know), that improves dark spots and uneven skin tone as well. So it’s not just cosmetic, it is actually skin changing. Texture: Although this is a cream, it doesn’t feel terribly creamy (which is a good thing!). It isn’t oily, but feels silky smooth, and emollient. Needless to say, the texture feels fantastic on the skin! The experience of applying this foundation is very comforting; and combined with the subtle “skincare-like” fragrance, it’s a delight to apply this product! Coverage: I think it’s high. My skin is covered over completely! Dark rings are gone, pigmentation is lightened, pores disappear, and overall skin tone is evened out. And my skin still looks natural. I love it. I recommend this for: Uneven skin tones, and troubled skin that needs correctional skincare — especially skin that is dehydrated on the inside, but oily on the outside. First impressions: I’m going to be honest here. I’ve not tried a liquid foundation from Dior that I like (or to put it more diplomatically — that works for me). This one, however, won me over on its first try. I love everything about this product: the texture, fragrance, finish, coverage, and even bottle (plastic and light! Good for travel!) I would HIGHLY recommend this product to anyone looking for a liquid foundation. This product has everything right going for it. And Dior didn’t pay me to say any of this. The formula: The formula is highly pigmented, so it covers up skin well. But it doesn’t result in a “mask” effect, that many high-coverage foundations end up doing; instead, this product uses mineral pigments with a special plant-based coating, and merges with the skin, looking as natural as possible. The formula also apparently repels water. Texture: It is watery, but not so watery that it drips down your finger when you apply it (this happened to me with Benefit’s The Porefessional Pore Minimising Makeup! Lovely product, though.) The liquid feels cool on the skin, and glides over easily. You can actually see the liquid sinking into your pores, and covering them up! Next thing you know, your pores have all but disappeared and skin looks amazing. Coverage: High. But even though it’s high coverage, the press release was right — the product feels weightless on the skin! Comfortable, in fact. Not tacky or dry. Finish: Matte but hydrated. Can I just say that my skin actually looks plumper and more awake after using this product. I recommend this for: Anyone who likes the format of a liquid foundation. This is it. This is the one to buy.